Esmeralda set free by Phœbus. 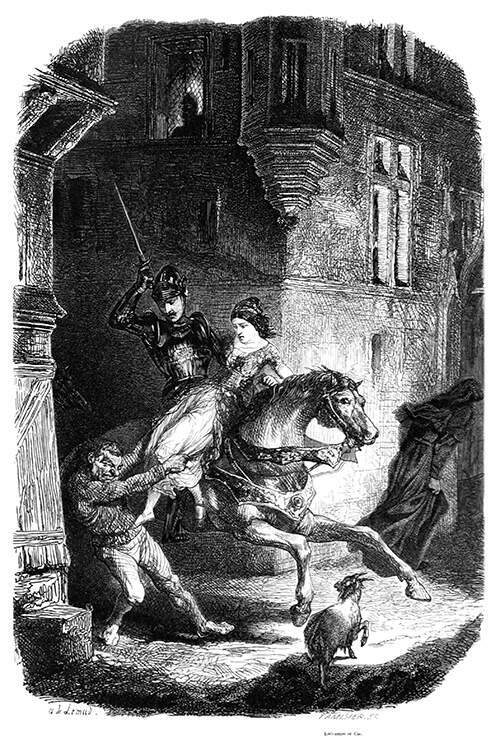 A man in armor is riding on horseback and trying to get away through the streets of the city with the young woman he is abducting. A second man standing at a corner grabs and pulls the woman by her dress to set her free, ready to dodge the blow the first man is about to deliver. 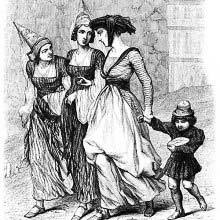 The caption reads in the original French: Esméralda délivrée par Phœbus.